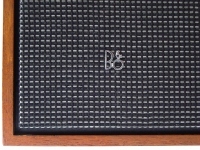 The Beovox 3000 was offered as a smaller loudspeaker for the Beolab 5000 system. 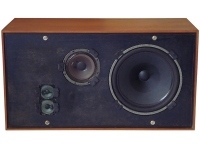 It used the same type of midrange unit and tweeters as the original version of the Beovox 5000 along with a slightly smaller bass driver. Only two tweeters were fitted, as opposed to four in the Beovox 5000. Extra Beovox 2500 cube treble diffusers could be connected if desired, doing this cut out the built-in tweeters. 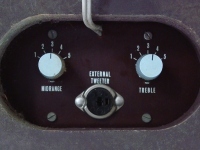 The rear of the pressure chamber cabinets carried two switches, each with five positions, for adjusting the midrange and treble output. This arrangement again was similar to the Beovox 5000. Text copyright © Beocentral. Unauthorised reproduction prohibited. Later Beovox 3000s dispensed with the cone midrange unit and the dual tweeters and instead featured a dome midrange and a single 2” tweeter. 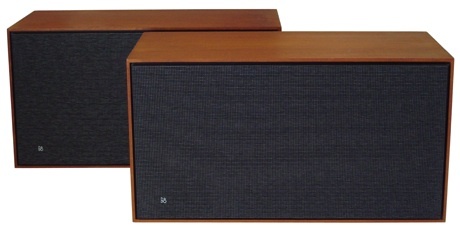 The midrange and tweeter level controls were also deleted, although the connection for an external high frequency diffuser (such as the Beovox 2500 cube) was retained. This was connected in parallel with the internal midrange unit, not the tweeter, and did not mute the internal unit. The revised Beovox 3000 kept the same type number as the original: 6238. Text copyright © Beocentral. Unauthorised reproduction prohibited. 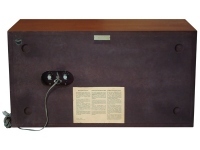 The Beovox 3000 was replaced by the Beovox 4000 but neither was especially popular for its intended purpose, Beolab 5000 buyers obviously preferred the larger Beovox 5000. At the same time a new Beovox 3000 was introduced but this was a smaller model intended for use with the new Beomaster 3000. Text copyright © Beocentral. Unauthorised reproduction prohibited.